I must say I am exhausted. Just seeing all the incredible designs during the Gift Along my brain starts entering a meltdown phase already! When am I supposed to knit this all? BUT! Andrée’s absolutely stunning designs just HAD to be mentioned here, too. 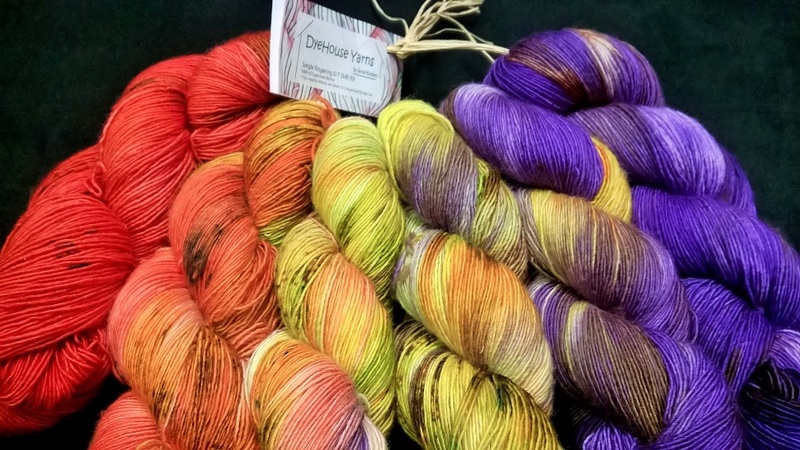 Two of her lovely shawl patterns went into my queue right away and I aim to cast on at least her incredible Dragon Breath Shawl (cover picture) during the Gift Along. Andrée lives in the Pacific Northwest of the United States, in a small town NE of Seattle, Washington. 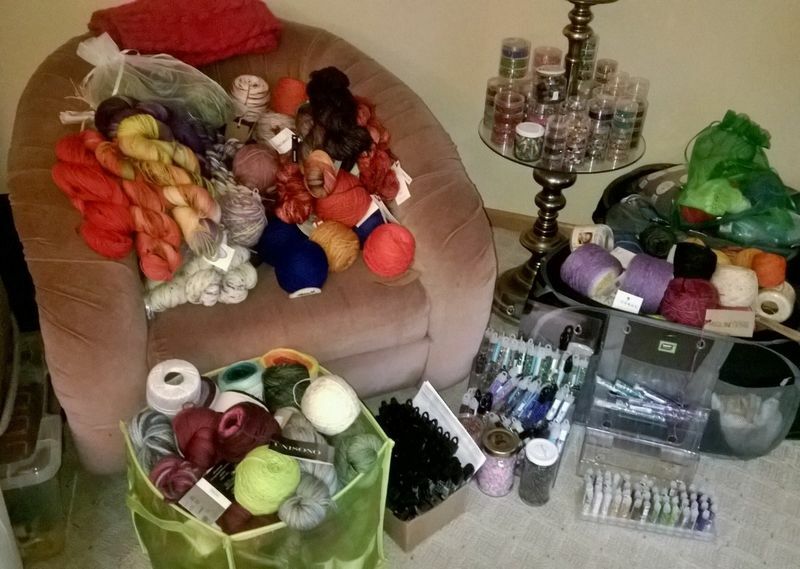 She works full time for a large software company, to pay to bills and finance her gigantic yarn and beads stash. 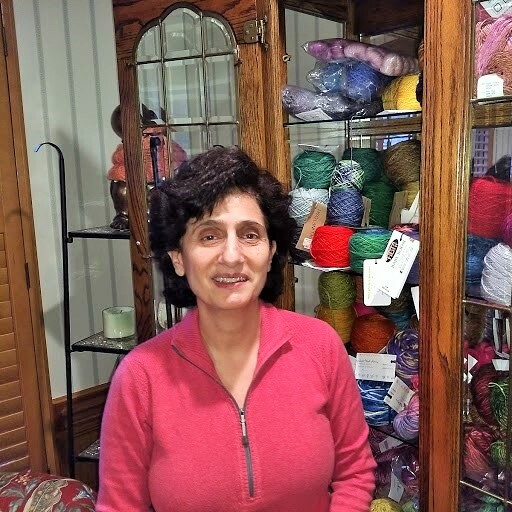 When she comes home, she works full time on her knit designs, which is her passion. I imagine that she doesn’t get much sleep! 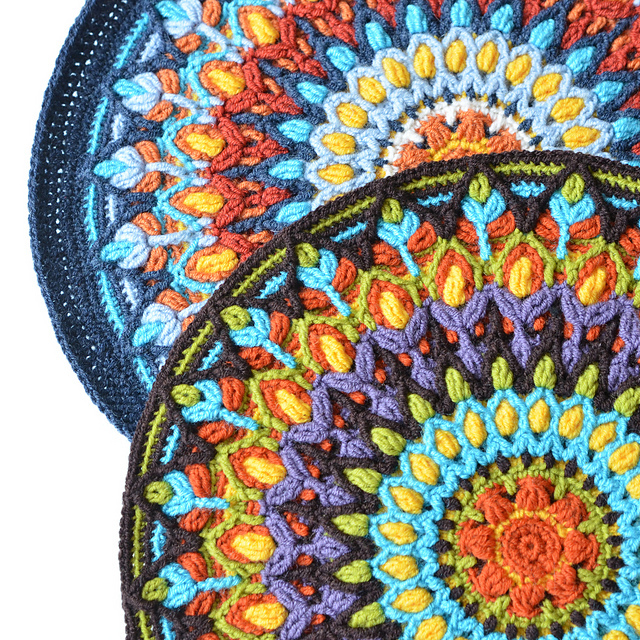 Andrea will give away two of her incredible patterns to two lucky readers of this blog. Please comment with your favourite of her patterns below! Around 2010, I was struggling to find a good birthday gift for my soon to be 8-year old niece. Out of nowhere, I thought I would buy her yarn and needles and teach her how to knit. I hadn’t been to a yarn store for over 15 years. I was stunned by the quality of yarns available. I walked out with a gift for her, but also a gift of yarn for me! Then I was completely hooked! 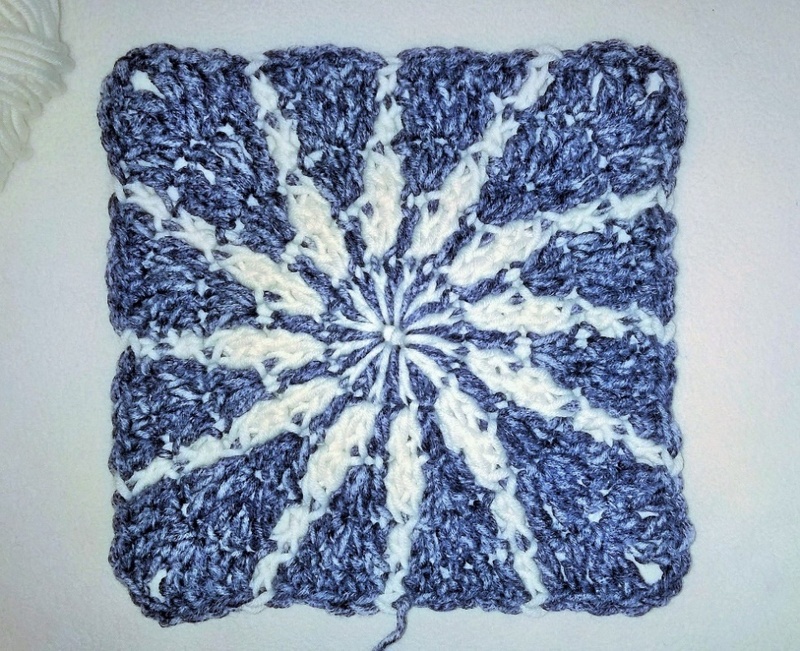 Started taking online classes to learn new techniques, buying yarn and circular needles – as up till then I had only used straight needles, then I started wanting to change what I just learned, because I thought it should be done better. And now, literally, I cannot stop…. 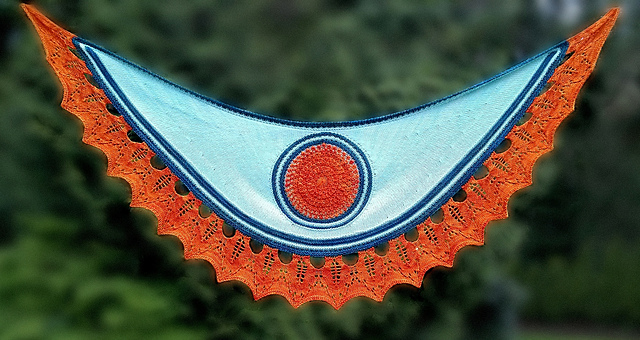 My first design, Notched Arrow, was after taking the “Shawlscapes” class by Stephen West on Craftsy. This was the first time I had heard about a garter tab. After which, I spent a couple of weeks reworking it to make it perfect, non-puckering, and almost invisible. 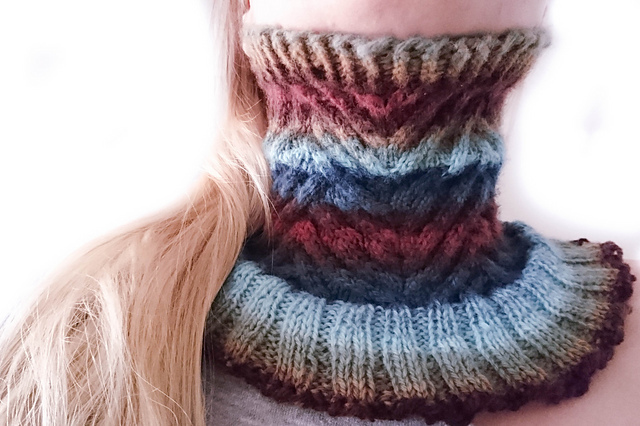 My first published design is Sunrise, which I designed after learning short rows. 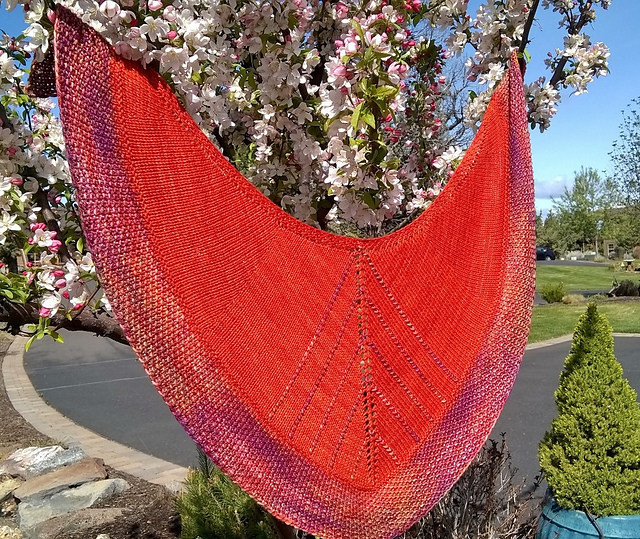 In addition to the brioche lace, Thistle, I am working on a ‘sunflower’ shawl pattern that incorporates, 2-color nupps, beaded increases, stacked decreases, brioche, garter and cables…. I love circular needles, and I exclusively knit with them, unless I need DPNs for a special technique. 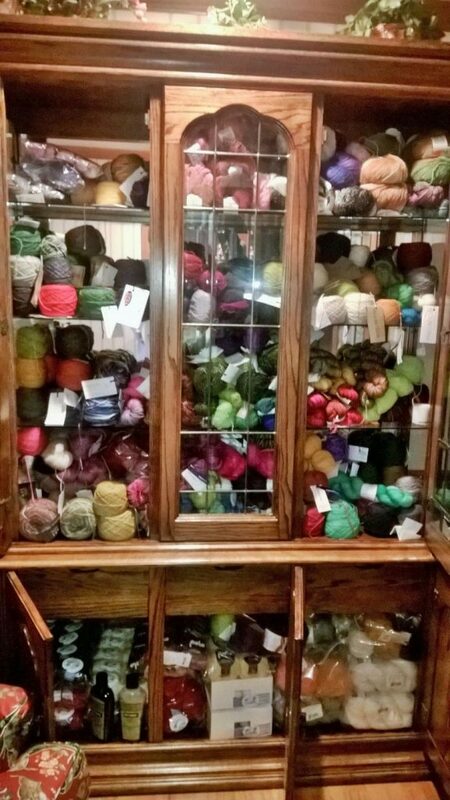 I have an extensive library of knitting, crochet, embroidery, and tatting books – about 300 – which are my ‘go to’ for research, in addition to youtube and Crafsty classes. I love Japanese knitting and crochet books! They are FANTASTIC! I use Microsoft Office suite extensively, and I also use InkScape for some of my graphics. Last but not least, I use EnvisioKnit as my charting software, which is AWESOME! A HUGE THANK YOU to all the GAL 2017 organizers, moderators, and volunteers!! I feel that they are doing an outstanding job! I am very honored and grateful to be one of the GAL 2017 designers! I can only agree to that!! Ooo heavens now I’m really stumped for one here! I’ve been admiring Andrée’s designs from a distance until I’d learned brioche..which I’m happy to say I achieved this year. Definitely love Picnic and in testing phase, ‘Surfing’ and now I see Thistle in development! I’m really enjoying the visual ride from Andrée on her quest for the final destination. Very innovative designs. Congratulations! You have won one of Andree’s wonderful patterns! I emailed you a coupon code. Happy knitting! Great! Thank you ever so much! 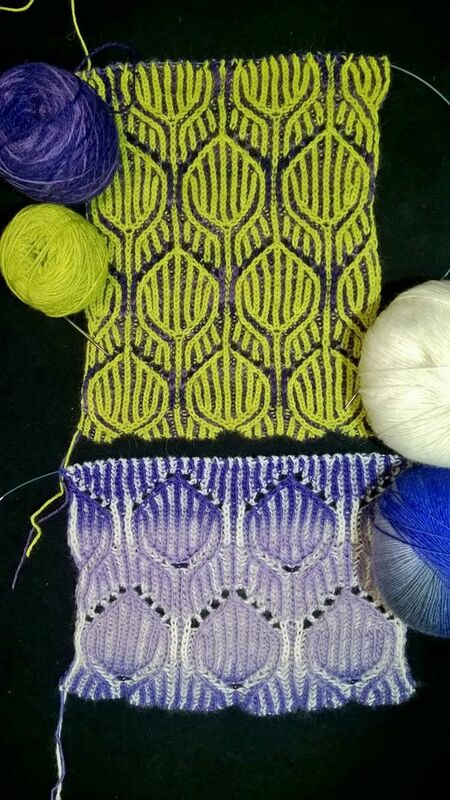 I look very much forward to knitting the Sunrise – especially now in the dark wintertime! “Dianthus” and “Daisies” are really beautiful! Dianthus and sea storm are my faves. I need to learn brioche! Congratulations! You have wone one of Andree’s wonderful patterns! I emailed you a coupon code. Happy knitting! Oh, I love your stash, wonderful! And you have so beautiful designs, it’s hard to decide which one I like moust, I think it’s Dianthus.